Restriction of streaming by some criteria is an often required feature in media industry. This is why we're often asked about this type of control capability. 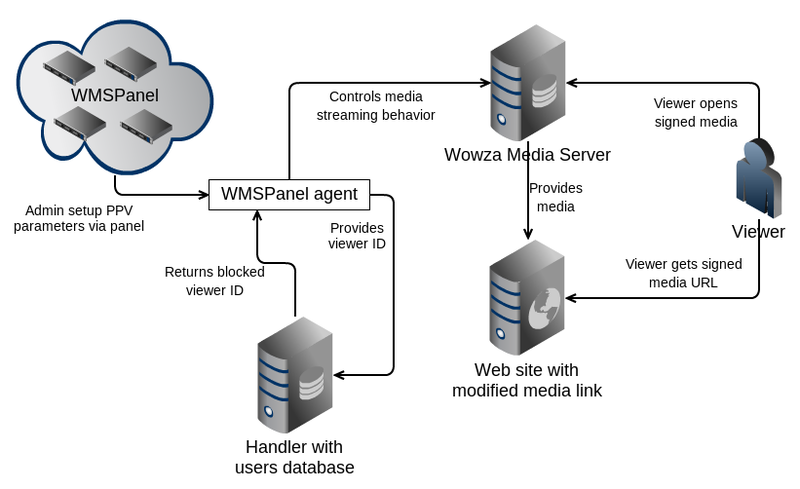 So here it WMSAuth, a new centralized way of controlling your Wowza Streaming Engine and Nimble Streamer restrictions. 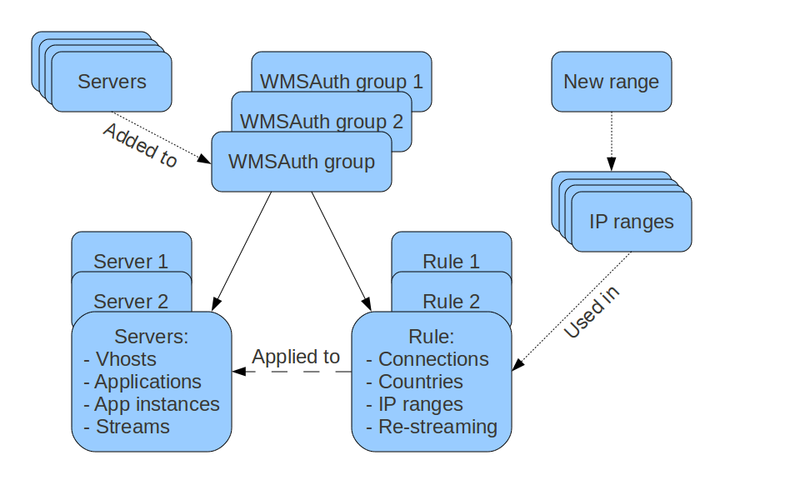 What does WMSPanel allow to restrict? Both allow and deny rules for geo and IP ranges may be applied. WMSAuth is also an entry and setup point for Pay-per-view framework for Wowza. Geo location updates are automatically downloaded from WMSPanel and your system administrator may forget about maintenance - we handle it. Let's see how those things map together. Here's a brief model of our authentication rules. So let's see how it works.